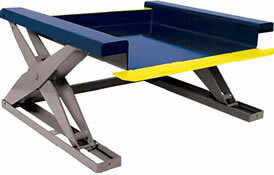 Now you can have a lift table that lowers to floor level and is designed for safety. 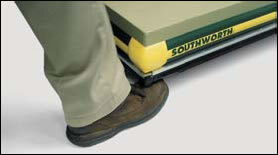 You can roll on a floor truck or hand pallet jack easily. Elastomeric front edge protects against toe injury. 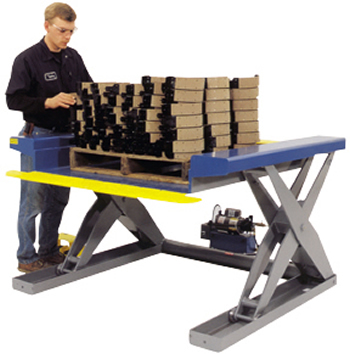 * Chart indicates usable platform size; narrower or wider platforms available. 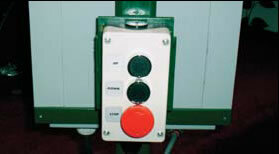 Encloses sides and ends of both scissors legs and full width on back side of platform. 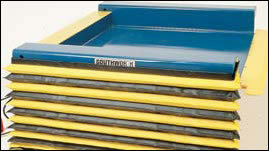 (For moving empty unit via fork truck or pallet jack). In place of standard flexible lip. Lift will not lower if light beam is broken.